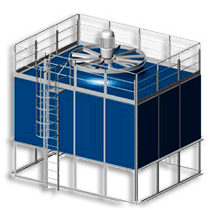 Cooling equipment, by its design and the environment in that it operates, encourages the opportunity for the collection of organic and non-organic matter either directly within the equipment or in the surrounding process equipment and pipework. Unmanaged, the build-up of this matter will have a detrimental effect on performance, ultimately impacting on efficiencies and profit. Making marginal improvements in efficiency will translate to significant savings over the lifetime of your cooling system. Improving the water quality is a simple, cost effective approach to realising these gains. 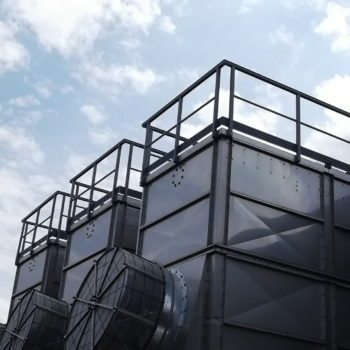 Cooling equipment, including cooling towers, evaporative condensers and heat exchangers perform most effectively when the heat transfer surface is clean. However, due to their dynamic nature of their operation and the environment in which they operate in, they are susceptible to dirt and debris build up. 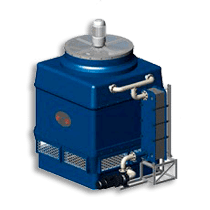 In essence, they are very effective air scrubbers, taking in airborne particulate through air intakes and discharges on the unit. 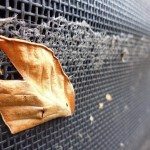 Although there are solutions in place to limit airborne debris entering the equipment, such as air intake screens, other places of potential material ingress (such as through poorly fitted drift eliminators) are less easily protected by screens. Furthermore, there are a number of other potential sources of solid particle contaminant within the cooling system. These include dirty make-up water, scale, treatment chemical residue and algae build up. In all instances it is important to have an effective and rigorous water treatment programme in place. Fouling – Occurs when suspended particles or biological growth forms an insulating film on the heat transfer surfaces including – process oils, silt, organic matter – lowering system performance. Microbiological Activity – Microorganisms that live and grow in the cooling system that contribute to fouling and corrosion. An effective water treatment programme will promote good water quality and increase the life span of the cooling equipment through the use of dispersants, biocides and corrosion inhibitors, however if there is particulate build up in the system it can impact on not only the performance of the system but the effectiveness of the water treatment programme. For instance where there are layers of sediment on a cooling tower sump, the corrosion inhibitors will not be able to work on the sump casing nor the biocide protect these ‘insulated’ areas from increased levels of bacteriological build up including dangerous legionella bacteria. Although water treatment can help prevent corrosion, the corrosion that has already taken place can leave deposits around the cooling system. What are the problems with having sediment in your cooling system? Fouled Heat Transfer Surface – a fouled heat transfer surface will reduce efficiency and may require an increase in flow to achieve the same heat rejection therefore incurring more energy costs through increased pump activity. 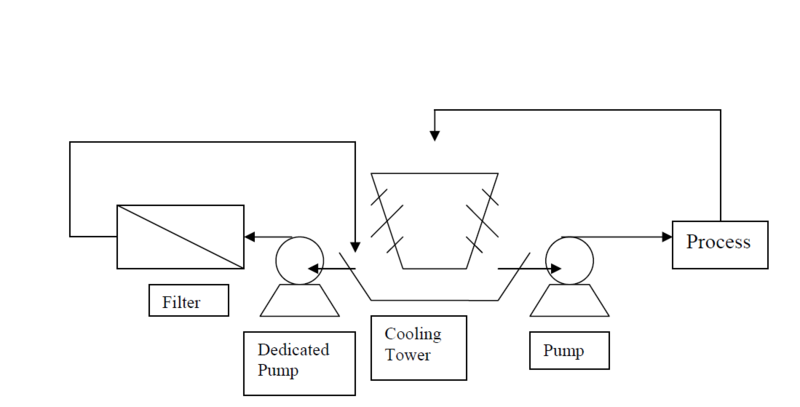 Blocked Distribution – In cooling towers with spray distribution systems, nozzles can become blocked with scale and deposit. 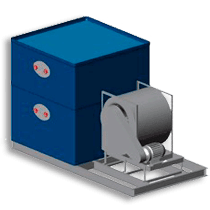 This creates irregular or limited water distribution hindering heat transfer capacity. 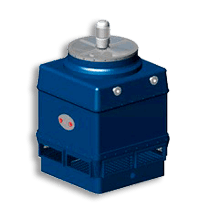 Solids in the Basin (pond/ sump) – Increased cleaning and shut down which impacts on maintenance costs and loss of production. Also promotes bacteriological growth beneath the layer of sediment. Erosion of Pumps and other equipment – Abrasive solids can cause accelerated erosion of pumps resulting in costly repairs and premature replacement. Impact on Heat Exchangers – The decrease in flow across a heat exchanger will cause sediment build up resulting in additional maintenance. In addition, a 0.001 increase in the fouling factor of a heat exchanger surface can increase overall energy consumption by 10% therefore increasing operational costs to production. What are the benefits of having clean water? Reduction in Energy Consumption – As little as 1.5mm of deposit (scale, dirt, biological) on the heat transfer surface can result in a loss of cooling tower efficiency resulting in the system having to work harder to achieve the same level of heat rejection. Clean water ensures that the heat transfer layer is not fouled, providing best environment for evaporative cooling to take place. Reduction in Water Consumption – With improved water quality the demand for make-up water is decreased as the cycles of concentration increase. Higher cycles of concentration means less ‘blowdown’ of water resulting in less new make-up water coming into the system thus reducing water costs. Lower Maintenance – When systems are fouled it means lengthy and costly shut down periods whilst they are cleaned and maintained. The impact on business productivity can be significant. Health & Safety – Ensuring high levels of water quality reduces the risk of harmful bacteria such as legionella growing in the cooling system. Deposits of organic and inorganic material create an ideal breeding ground for bacteria and should be removed. Filtration in cooling systems typically falls into two subcategories – Full Stream Filtration and Side Stream Filtration. These are the most common types and are used to directly protect heat exchangers and chillers. 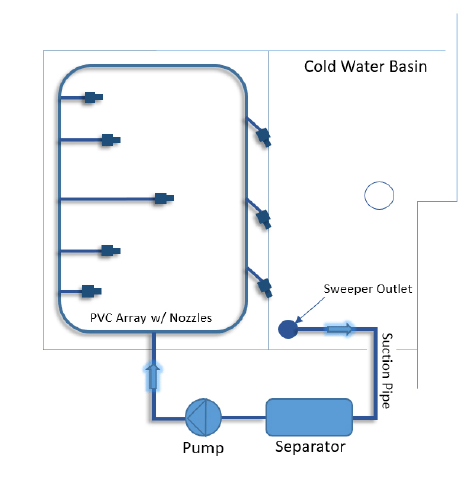 Full Stream Filtration – As the name suggests, this approach takes the flow from the discharge side of the pump, after the cooling tower and passing it through a filter. 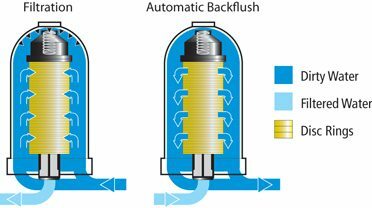 Filtration is continuous therefore the filter has to be designed to handle the system design flow rate. i.e. 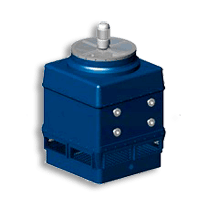 A system with a design flow rate of 20 l/s requires a filter that can manage 20 l/s. 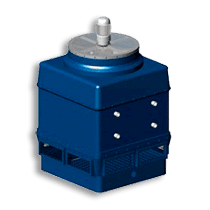 Although this is considered the most effective method of filtration to ensure protection of equipment after the filter, it is often considered cost prohibitive due to the sizing which has to be in line with the full flow rate of the system. In addition, unless the filter is incorporated in the initial design, it is costly to retro-fit afterwards and would result in system downtime. 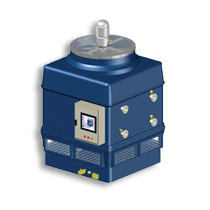 On larger systems it is difficult to monitor small decreases in flow caused by the filter which results in increased pressure on the pump discharge and would therefore affect the performance of the heat exchangers. Maintenance of full stream filtration systems, where either there is no filter bypass or it is not practical to accommodate a system bypass can be difficult and would involve taking the system offline whilst the filter is maintained. Side Stream Filtration – Side stream filtration systems continuously filters a portion of cooling water to remove debris and particles. Filtered water is then pumped back into the main condenser line or returned to the cooling tower basin. Particulate will collect in the system where the velocities are at their lowest such as the cooling tower basin. It is therefore advisable to install a side stream filter off the basin and return the filtered water back to the basin. In addition to the side stream filter it is advisable to install a sweeper system in the basin that drives sediment through the use of water jets in the direction of the filter. This has the advantage over full stream filtration which may not filter out particulate which has accumulated through airborne deposits trapped in the basin. Side stream filtration removes suspended solids, organics, and silt particles for a portion of the water system on a continuous basis, reducing the likelihood of fouling and biological growth, which helps to control other issues in the system such as scaling and corrosion. As side stream filtration only filters a small percentage of the total flow (typically 3-10%), it makes them ideal for systems with high flow rates where full stream filtration would be cost prohibitive. A further advantage over full stream filtration is that the filter can be taken offline for cleaning and maintenance without taking the main system offline. Side stream filters have a minimum working pressure to account for the inherent pressure drop across the filter – this is typically between 20 and 30 psi and a maximum working pressure depending on the filter type. 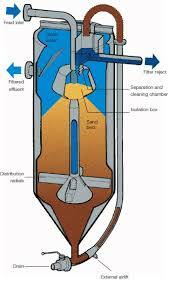 Sand filters have a threshold of 80 psi, while mechanical filters, such as screen filters, can operate up to 150 psi. Side stream filtration does bring the water to the same level of purity as full stream filtration – it just takes longer. It is important to size the filter correctly as filtering a very low percentage 2-3% or less will not effectively filter the system water resulting in fouling. Filters are sized based on the size of particulate that is being removed, measured in microns and the flow rate of the system. In a cooling tower system particulate size typically ranges from 1-50 microns however 90% of particles are smaller than 10 microns. These smaller particles are managed by a good water treatment regime to break them down and it is actually the smaller number of larger particulate that needs to be managed by a filtration system to avoid damage to other equipment in the process. Once the full design flow is known then the filter can be sized to either manage total flow as in full stream filtration or to manage a percentage of total flow – typically between 3-10% in side stream filtration. There are a number of options when it comes to deciding on the best type of filter for your cooling water system however apart from good filtration you’ll want the filter to require minimal maintenance and use the least energy to provide the most efficient method of filtration. 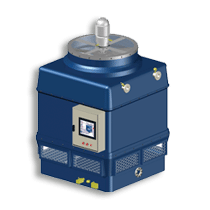 When choosing which option consideration should be given to particle removal level, ease of cleaning and maintenance, back-wash function and water loss. Driven by the inlet pressure, the water or liquid with particles enters the top chamber at a tangent causing a rotation, and accelerates through the tangential slots/holes in the top section of the separator, down into the centre section of the separator, causing rapid rotation within the centre sector. The rotation of the liquid forms a vortex in the centre of the separator. The centrifugal action forces the separation of heavy particles from the water. The separated particles accumulate in the bottom collection chamber where they are periodically purged. The cleaned water flows through the central vortex from the top of the cyclone. Filters to less than 20 micron – Cyclones will filter down to less than 20 microns on a continuously recircluated system. Anti corrosion / abrasion specialised coatings – ATD Series allows application of specialised coatings such as Rilsan. Usually automatic by design, a screen filter will use system pressure to clean itself. They are often used in full stream filtration but a bypass line must be installed to allow regular necessary maintenance. Cooling water enters the filter through an inlet, passes through a rigid cylindrical screen from the inside out, causing particles larger than the screen to accumulate on the inside surface and form a cake. The filtered water leaves through the outlet. The build up of the debris causes a pressure differential which is monitored by a controller which then flushes the filter by opening a valve to the atmosphere. 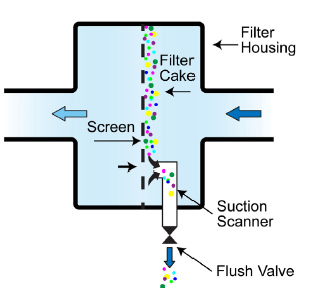 This in turn causes high suction forces which force the water to backwash through the filter pulling the cake off the screen and down to drain. The total cleaning cycle is typically less than 1 minute and usually less than 1% of total flow. Where screen filters are to be used in areas of particularly poor water quality, the screens should be over-sized to provide a larger surface area to operate – minimising the frequency of maintenance related to not having a large enough screen. The Moving parts are its biggest disadvantage in that they require frequent maintenance. Predominantly used in side stream filtration, disk filters, made of polypropylene, use a series of stacked disks, compressed together under pressure, that are grooved to filter a specific micron size. Each disk has etched grooves in a slightly different pattern between the top and bottom of the disks. The disks are stacked together and form a hollow cylindrical structure. 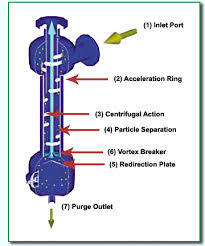 Water passes from the outside to the inside of the cylinder and through the grooves which trap the particulate. As the particulate builds up a pressure differential is created and triggers a backwash which involves releasing the pressure on the disks and water is forced in the opposite direction through them to clean them. Disk filters can back flush multiple filters sequentially therefore the back flush sequence is seldom interrupted. The coil filter has similarities with the plastic disk filter in that it has a central cylindrical spine however the cylinder is made of a continuous stainless steel coil. The coil has small “nidges” raised on the surface to create a very accurate filtration gap. The other unique feature of the coil is that when it opens, it opens evenly, allowing for a complete backwash along its whole length. The filter coil comes in a number of micron sizes from 10 to 400 microns. Coil filters can be used in numerous applications including cooling towers, effluent, rain water and pre-filtration. This design of filter allows for continuous back washing to ensure flow is not hindered. Sand media filters distribute contaminated water over a sand medium bed capable of filtering out particles. They use an automatic back wash cycle to clean the filter media which results in fewer maintenance intervals. The media in sand filters does not need to be replaced often therefore in the long run they can be a cost effective filtration option. Sand filters are most appropriate for lightweight solids, organics and other floating contaminants. Though capable of removing heavier solids, the cleaning/backwash procedure makes it very difficult to rid the sand filter of these solids which may result in a residual build-up and an increasing pressure differential across the filter or excessive back washing frequency. Consideration should be given to the potential need for supplemental chlorination during backwash or routine maintenance. This is because the medium in many sand filters coupled with the increased water temperature of the recirculating cooling water can support biological activity. Filters are comparatively large in size and expensive compared to other methods of side stream filtration. A further disadvantage of sand filters is the loss of water during the backwash cycle. It is possible to lose thousands of litres of water. 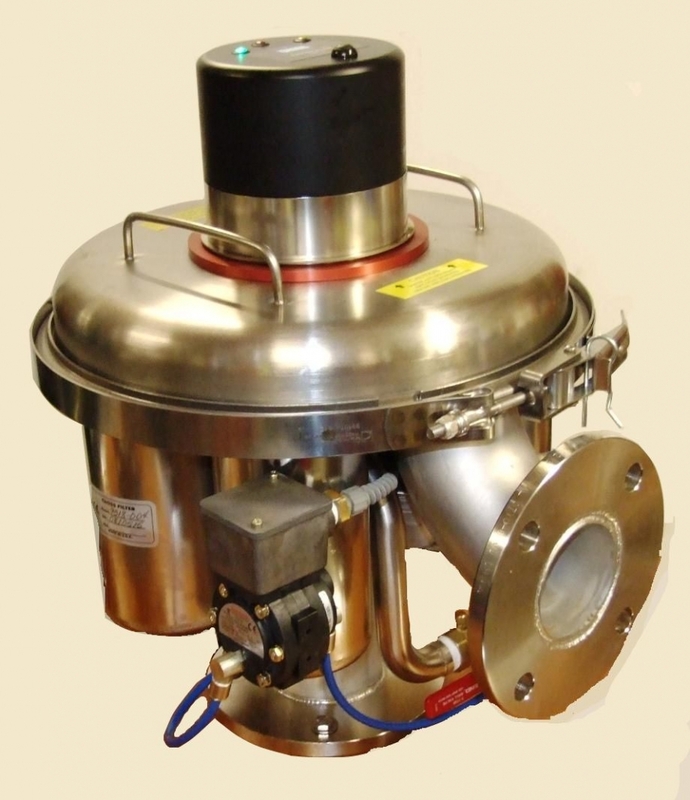 They are prone to changing or interrupted flow with solids collection. Filtration is an essential component to the efficient running of your cooling system environment. It will not only increase the longevity of your equipment but also save you money in the short and long term through efficient running therefore decreasing your operating costs. 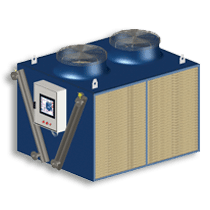 There are different methods of filtration but the two most common are full stream and side stream, the latter providing the most cost effective solution for most applications in cooling systems. There a a number of types of filtration each with their advantages and disadvantages but overall, any filtration in an environment that necessitates it is better than no filtration. 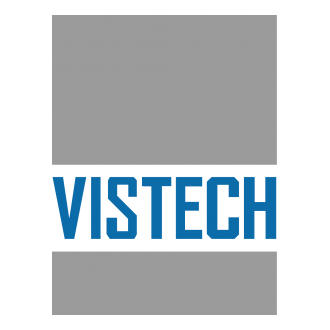 To help you decide on the most effective filtration solution for your specific application please email me at richard.crunden@vistechcooling.co.uk or call me on 01403 892622.